The latest round of designs have been submitted to Ritzenhoff. The wine glass designs were not successful, and at the moment the beer glass designs are in for consideration. 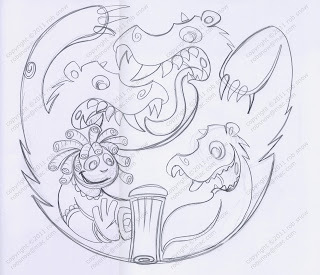 This is a design I have submitted based on a variation on the nursery rhymes submitted last time for the beer glasses. That time it was Little Red Riding Hood. 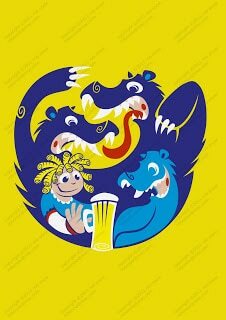 This occasion I did a version of Goldilocks and the Three Bears. Again I tried to make a more open style to avoid obvious pencil work being visible. The finished version was completed in Illustrator. None of the 6 designs were selected! 🙁 Back to the drawing board! !